Modern Industrial 37 is an original painting, created with acrylic paint on gallery-wrapped canvas. It has a width of 30 inches and a height of 40 inches with a depth of 1.5 inches (30x40x1.5). The colors used in the painting are blue, teal, yellow, gray, white, and iridescent, metallic silver and gold. The painting continues onto the edges of the canvas. 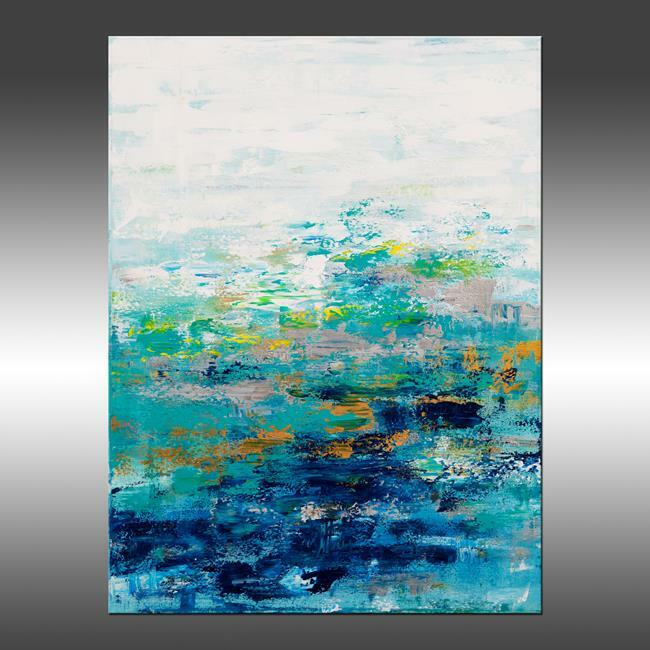 What I love about this painting: I adore this color palette and the unique overall composition of this painting reminds me of the sea.